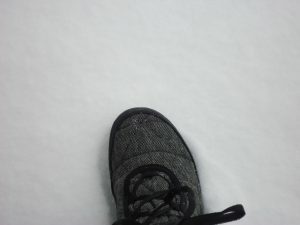 I step out my front door after a heavy snowfall. The expanse of white blanketing my lawn is pristine – not a rabbit trail, nor a wind drift in sight – it’s pure, clean and full of possibility. I get a satisfying thrill to be the first one to make a mark. Today, it’s a footprint. Other times it’s an angel. That’s exactly how I feel on the first of the year. As if by turning to a fresh page on the calendar, I’ve wiped everything clean and get to start again; I get to make my mark on the year in any way I desire. I get to step forward as the person I want to become. I get to feed and dress and entertain myself in a way that reflects the wants and needs of that “new” me. I get to enjoy relationships with a whole new heart. I get to share my reaffirmed values through work and service to others. The possibilities are vast – all emanating from me. All starting from that 1st step. New beginnings are so potent. Can you feel it? Politically, it’s becoming a whole new world – terrifying and thrilling in equal measure. Maybe I’m tuned into the cosmic pull of numerology. 2+0+1+7=10, the culmination of one cycle and the start of the next; as well as (1+0=1) the very beginning. Maybe I’m feeling the onset of the Year of the Fire Rooster – vibrantly social and healthy. Whatever influences and environment and waves push and pull against you through the coming year, at the centre is you. YOU are the only part over which you have control. YOU are the only tool you have for creating waves: through your own care & feeding, in how you interact with others, in how you vibrate in the world through work & community – your footprints. Will they be made of carbon or snow? Of fairy dust or hard facts? The choice is yours. Before you make that first step each day, be sure to start out knowing who you are in that moment. Connect with YOU first. Action comes next. Huh?!? What does all this mumbo-jumbo mean? It means that the best way to be yourself, to feel like yourself and stay energised through your day, is to start each morning with a bit of ritual: a morning routine. Your morning routine ensures that you start your day nourished in body, mind and soul. A morning routine wipes the slate clean like that freshly fallen snow. Without necessarily getting rid of yesterday’s transgressions, it contains forgiveness for them, and hope for tomorrow’s wins. Your morning routine ensures that you have had time to yourself and for yourself, no matter what the rest of the day holds. It gives you the space to focus inward before engaging outward. When life rips the rug out from under you, your morning routine maintains a constant, a beacon to which you can tether yourself to get safely to the other side. Your morning routine connects all parts of you into an integrated whole from which you can better make decisions about work, food, leisure… basically, how you want to spend your time, energy and money through the coming day. The daily practice of a morning routine fosters discipline. Not the strict, whip-cracking type. Ritual establishes boundaries as a safe container for who you are, what you will & won’t do, what you will & won’t let in…or out…of your life. A morning routine starts the conversation in which you can listen to your body – her needs, her hopes, her fears. A morning routine gives you the space to connect with the Divine, a conversation with a greater power. This includes the petitions for what you need as well as keeping open for a response. Take as much time as you need; take as little time as you can afford. If there’s time for nothing else on a given day, the connection to self and spirit are the non-negotiable pieces to my morning, in the form of breathe. Feeling my breathe move into and expanding my body’s centre, then settling into that space as it leaves. That way, I start each day with a calm nervous system. I start each day with a dose of oxytocin – bi-product of connection, which lowers cortisol levels, with its residual waves to improved blood sugar, immunity and libido. Take each step from there. Your morning routine will likely look different than mine. It will vary, depending on whether your day includes a marathon or a day of leisure, kids or just you, being at home or on the road. Your routine may alternate depending on the type of work you do, or where your values and priorities lie. One thing that remains the same for each of us, whether you will be teaching kindergarten or spear-heading a corporate merger, starting your day grounded into YOU will set you up for more energy, ease and happiness at the end of it. My morning routine has evolved over time and continues to evolve as my needs shift through the seasons and the circumstances of life. 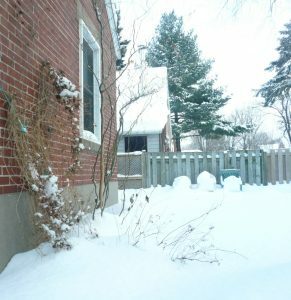 For the next four posts, through the months of quiet hibernation in winter, I will share some aspects of my morning routine, not as specific rules, but as guidelines for possibility. How you make your own routine is up to you. 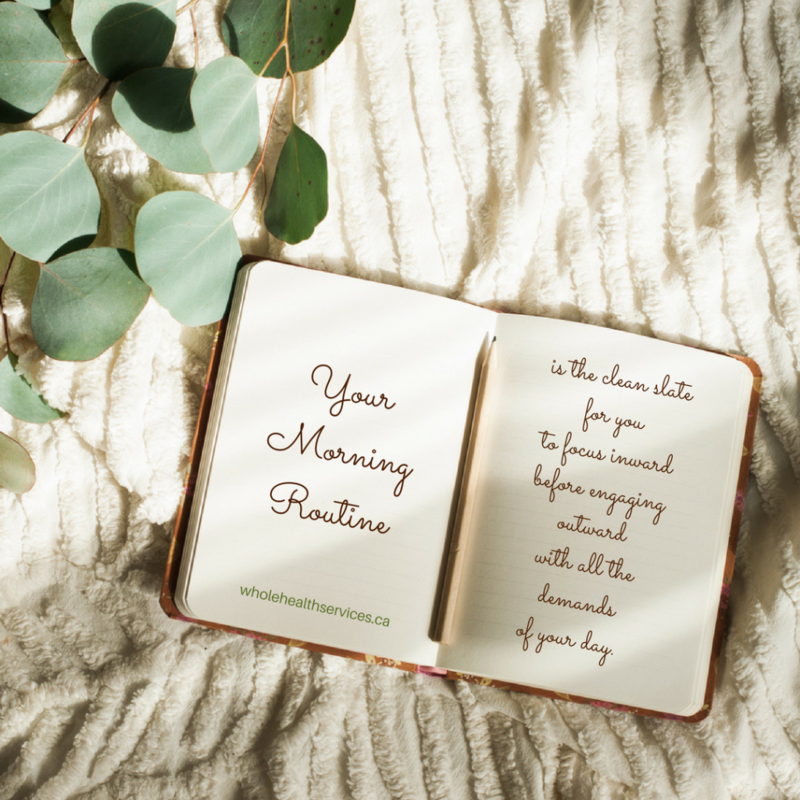 Do you have a morning routine, or a non-negotiable bit to your day? We’d love to hear about it! When you share in the comments, you open the possibilities for others. Support a friend in her self-care: share this post using any (or all!) of the pretty green buttons. This entry was posted in Creating Health from the Inside Out and tagged connection, foundations of health, habits, immune system, intentions, listen to your body, nourish your body, routines, self-care by Cathy Cochrane. Bookmark the permalink.